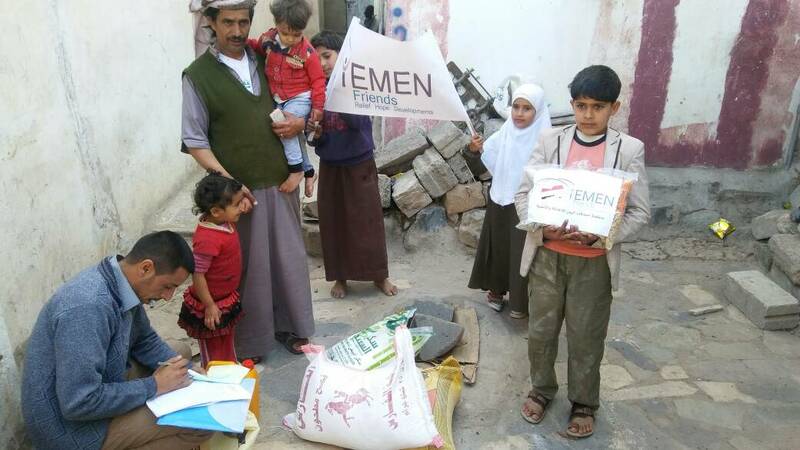 Today, our Yemen Friends team was able to complete the fifth round of food baskets distribution at Hasabah and Safiah areas in the capital Sana’a for many displaced and internally displaced families, who had been forced to move from their homes in Hodaidah and are currently living in Sana’a. That means that since the beginning of the New Year 2018 in the first week of January we have been able to target 35 internally displaced people and poor families. This is a really wonderful step forward!